The 3 cylinder LMS Patriot class was introduced towards the end of Sir Henry Fowler's reign as CME of the LMS, a position he held from 1925 until 1932 when William Stanier was appointed in his stead. 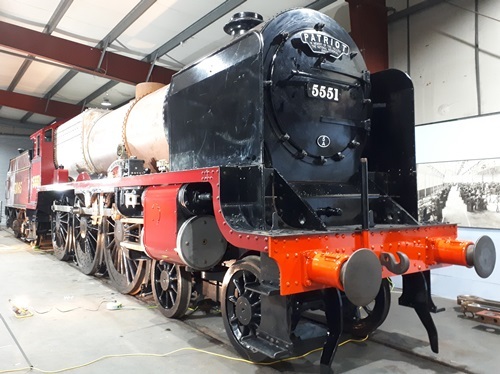 Publicly the class was presented as a rebuild of Bowen-Cook’s large boilered Claughton 4-6-0 and the first two were produced from the remains of two Claughtons badly damaged in accidents. There is some dispute as to how much original material was re-used but it would not amounted to much more than driving wheels, bogies and some standard fittings. In fact the Patriots as they were known after 1937 were a small boilered version of the Royal Scot, utilising a very similar chassis combined with the Derby designed G9 ½”S boiler utilised on the rebuilt Claughtons. After the first two were produced the pretence that they were rebuilds disappeared (though they did replace an equivalent number of Claughtons) as only the 6’3” bogies were reused. The last ten to be built (nos 5542 to 5551) were regarded as new builds. Technically the class had three 18” x 26” cylinders (identical to the Scots), 6’9” driving wheels mated to a boiler pressed to 200lbs. 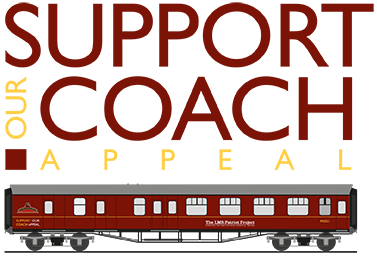 Originally intended to number 57 units the last five were built with Taper boilers and became the first of the Jubilees. All the Patriots were painted out in LMS crimson lake livery with pale yellow and black lining when first built and carried 'LMS' lettering on the tenders. From 1946 most were painted out in LMS lined black with straw and maroon lining. Some Patriots kept this style of livery in very early BR days with the name British Railways written in full on the tender. All of the class were later painted out in British Railways standard express passenger green with orange and black lining with the BR 'lion and wheel' logo or later BR crest on the tender. The class, often referred to as 'Baby Scots', were an immediate success (unlike the Jubilees), displaying consistently good performance, marred only by the tendency of the wrapper smokebox to draw air after high mileages. With the exception of 45508 (hideous stovepipe chimney and the 18 rebuilt with the 2A boiler) no major alterations were attempted and the class was withdrawn over a two year period between 1960 and 1962 having all covered around 1.3 million miles each, unfortunately too early to be considered for preservation. The last two withdrawn (45543 and 45550) were in good condition on withdrawal.